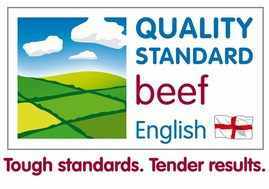 The highest standard superior quality fillet of English beef - when only the very best will do! The fillet is the leanest and most tender cut of beef, expertly prepared by our butchers to make a fall-apart-in-your-mouth joint of delicious meat. The fillet is perfect for Beef Wellington or for those occasions when only the very best will do. All our beef is English Quality Standard meat and is matured for 21 days so it is the tenderest and most flavoursome beef you've ever tasted!